Evergreen with grey green downy foliage. 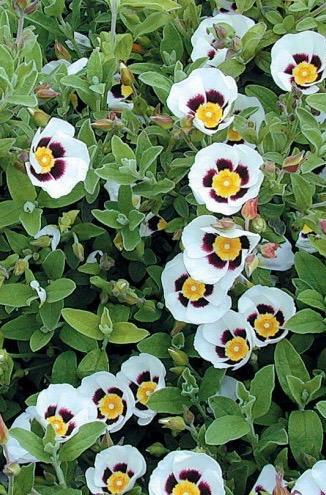 Charming single white flowers with central maroon whorls and a gold eye. 60cm tall. Sun and good drainage. Clip after flowering to keep compact.